Is Catcher in the Rye an assassination trigger? 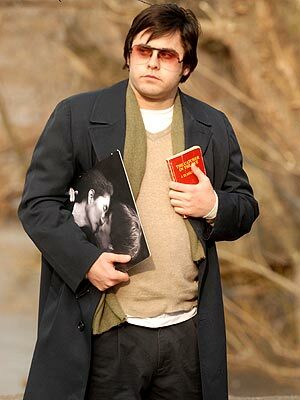 After Mark David Chapman shot and killed John Lennon, he calmly opened up Catcher in the Rye and proceeded to read it — before being apprehended. 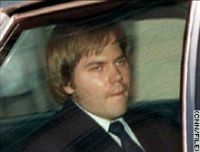 John Hinckley, the man who attempted to kill Ronald Reagan, also was in possession of the book. It is also alleged Lee Harvey Oswald was quite fond of the book, though this is disputed. Catcher in the Rye has sold 65 million copies. Of the millions who have enjoyed the book, perhaps three have become well-known assassins. Still, we should ask: is there any merit to the book being an assassination trigger? How did famous assassins perceive Catcher in the Rye? I don’t know what I’m doing with myself, Everyday from nine to five I apply to as many jobs as I can find online, then sometime between five and nine if the house is empty I play some video games for my YouTube channel, I schedule my uploads to come out on specific days to give the illusion of stability. I haven’t been writing, I’ve been watching more tv than usual, typically between 7 and 10. from ten to twelve I try to do some dishes before bed, from ten or eleven until around 2 or 3 I wait for sleep to happen. I stare up at the stars on my ceiling and just wait. Why can’t I sleep? Why haven’t I been writing? Why does it all feel so pointless? I should have a job by now, I don’t know what I’m doing wrong, but I’m honestly afraid I’ll never succeed. And that’s why I can’t sleep, every time I try to write it ends up being about my fears and I just want to stop, I want to pretend it’s all gone, so I watch tv and I read and I play video games, and I hide from my problems. If you enjoyed this rant, why not subscribe, or comment some advice to help out your friendly neighborhood echo.